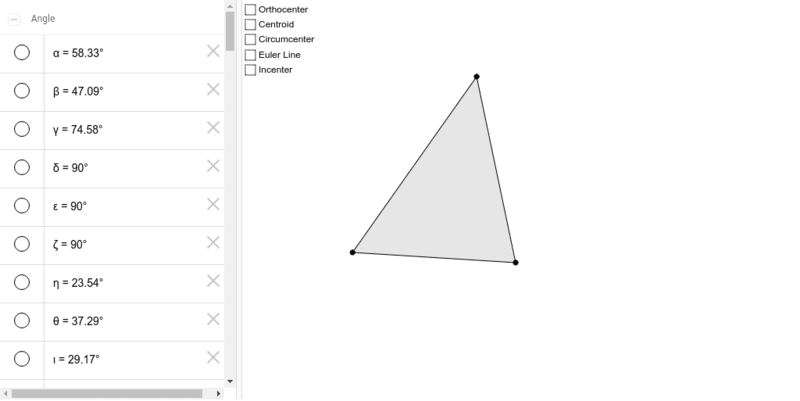 Shows the Orthocenter, Centroid, Circumcenter, Incenter, and Euler Line of a Triangle. Triangle may be manipulated to show how these are effected. Use the checkboxes to turn on or off each item.